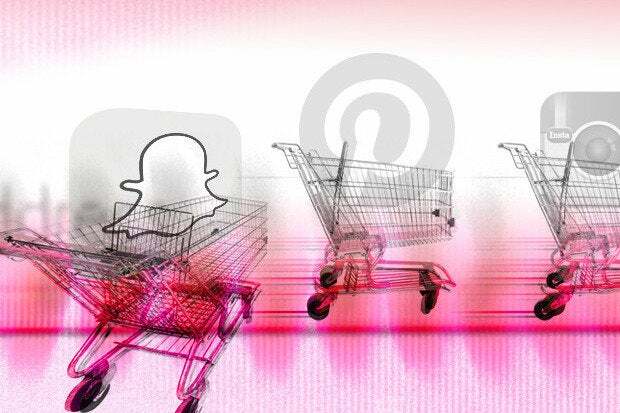 Can Snapchat, Instagram and Pinterest help marketers reach millennials? 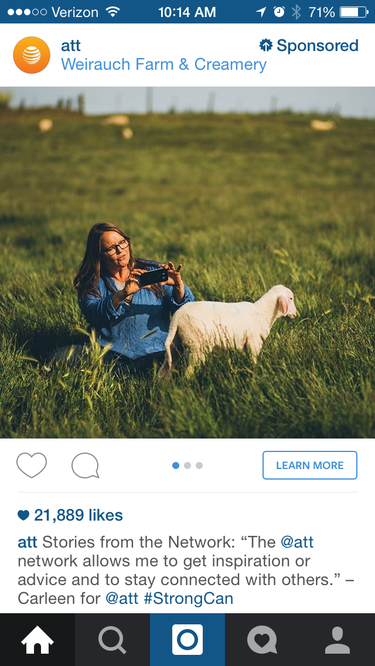 Instagram and Pinterest are big with the millennials advertisers want to reach. Large brands such as McDonald's are already experimenting with the social networks, but it may be too soon to tell if the new features deliver customers or are just the latest gimmick. Snapchat, Instagram and Pinterest arrived on the social scene after Facebook and Twitter, but they quickly made their marks, especially among millennials. After reaching critical mass, the three companies are attempting to monetize their services by rolling out new features for advertisers. Select large, global brands, including McDonald's, are testing the new features and could be role models for other marketers interested in the apps. However, all three services are still relatively young, and it might be too early to tell if ad campaigns are worth the investment. Some people might think Snapchat is only for millennials who want to send quick selfies, but the reality is the popular service offers a variety of value. It has evolved from a service with disappearing photos and video clips, into a destination where you can watch collections of clips from cities or events, called Stories, and catch up on news from a few major sites, including CNN and ESPN. 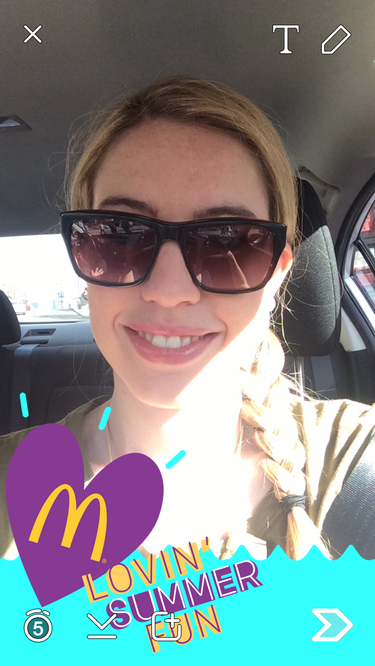 Most recently, Snapchat introduced sponsored "geofilters" and advertisements in Stories. The features may be a turnoff for some users, but they represent a milestone for advertisers, especially those looking to reach millennials. Of the top social media sites, Snapchat has the highest share of users ages 18 to 24, and it is tied for the highest share of users who are 25 to 34 years of age, according to comScore. It's obvious to users that these ads are sponsored, but what's not so clear is the benefit to advertisers. Based on Snapchat's large number of millennial users, advertisers can expect a large number of views from target demographics, but the ads are not currently clickable. Today, a click or tap on Snapchat advances you to the next photo or video clip and essentially serves as a skip button, instead of directing you to a relevant website or coupon. "If you want an ad module that works, an un-clickable ad won't give anyone much of anything," says Sucharita Mulpuru-Kodali, vice president and principal analyst at Forrester Research. For now, the ads within Snapchat are designed for branding, not for direct response, according to Yory Wurmser, an analyst at eMarketer. However, another feature within the app, called Snapcash, lets users exchange money via Square. This payment capability could eventually be used as an extension of the advertisements that pop up in Snapchat stories. "Right now it's just peer-to-peer but they could be setting up the infrastructure for direct payments," Wurmser says. Instagram, the popular photo-sharing app, recently launched new features for advertisers that are more robust than its existing static ads. A new button below advertiser photos, next to the "Like" button, lets you shop for related products, download apps or learn more. This is a significant development for advertisers, because you previously had to go to a brand's profile on Instagram to learn more or to shop for products. It's also important because user engagement is higher for top brands on Instagram than other social media sites, according to a Forrester Research report. Instagram posts produce a per-follower engagement rate of 4.21 percent, compared with .07 percent on Facebook and .03 percent on Twitter. "Visual ads are always more effective than text," Wurmser says. "What these buttons do is make the advertising formats more powerful and easier to attribute to an actual sale." However, the challenge for Instagram, as well as Snapchat, is to balance the needs to increase ad inventory and keep the user experience intact. Instagram will also have to find a way to position itself as an ecommerce destination, because until now the app has mostly been used for photo and video sharing, and messaging. "The fundamental issue with Instagram is that they're seeing themselves as a shopping medium, but it's more of a communication medium for young people," says Mulpuru-Kodali. "Instagram was not built with commerce in mind, and a lot of brands are trying to insert themselves into that conversation."